Munich-based Paso has been sliding out quality, hip-hop influenced house jams for a lil’ bit now; with some sweet drops on Paris-based D.KO Records of special note. 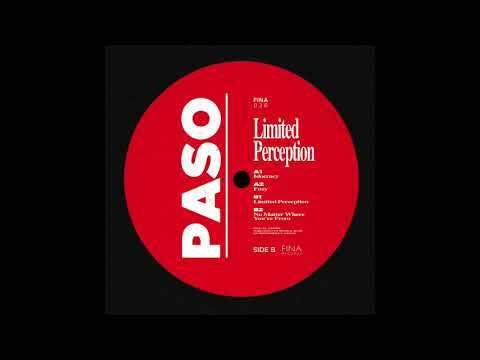 His newest EP, Limited Perception, on FINA Records polishes off that same mid-tempo swang for a very tasty four-tracker. The producer sits incredibly comfy in that vein; clearly drawing equally from the likes of 90’s hip-hop production aesthetics and classic deep house vibes.